Rachael has a strong theatre background, as an actor and street performer as well as in music. She is an experienced composer, arranger and musical director. 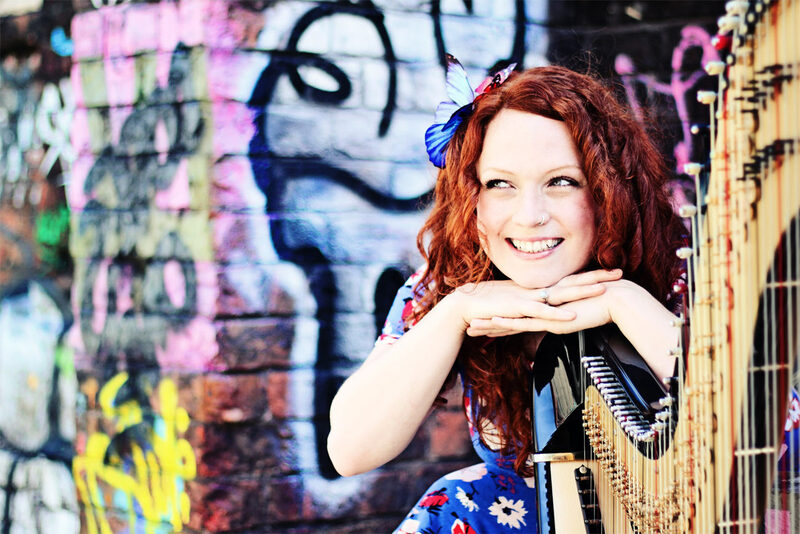 In addition to harp and vocals Rachael can offer theatre productions intermediate skills in percussion, kora and dulcimer, and basic skills in clarinet, accordion, guitar, bass guitar and piano. 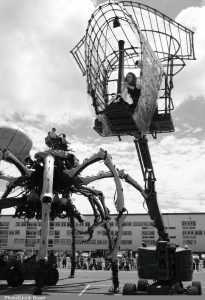 Nantes-based La Machine create large-scale outdoor spectacles with huge mechanical animals. Rachael is the orchestra’s harpist, playing on a moving cherry picker high in the sky, and on a flying temple attached to a crane. She has performed in ten shows across France, the UK, Japan, China and Canada. 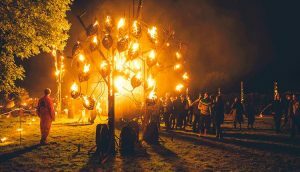 In the autumn of 2018 La Machine will perform in Toulouse with a brand new creature. Red Rust was a beautiful adult puppet show around the themes of memory and mortality, underscored throughout by live music. Rachael was the composer, musical director, sound designer and live musician: harp, percussion, electronics, loop station, vocals, triggered effects. The UK tour included Little Angel Theatre in London and The Carriageworks in Leeds. Howard Goodall and Melvyn Bragg’s The Hired Man played in the UK for ten weeks in 2013 (Mercury Theatre, Colchester and The Curve, Leicester). Part of the 13-strong ensemble cast of actor-musicians Rachael featured on harp, vocals and percussion. Directed by Daniel Buckroyd, the show played to sold out audiences, standing ovations and exceptional reviews for the entire run. This stunning adaptation of The Snow Queen was accompanied by a gorgeous score from British Asian jazz clarinettist and composer, Arun Ghosh. 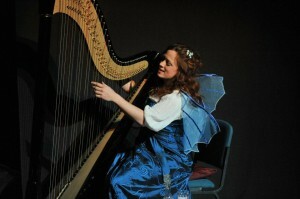 Rachael contributed improvised and scored harp to the soundtrack. The Snow Queen played in the UK and India. Pinocchio was the family christmas show at the Square Chapel in Halifax in 2011, and the Met in Bury in 2012. Rachael composed the score, MD’d the show and performed as an actor-musician playing harp, clarinet, percussion, voice. She also rehearsed the children’s chorus, teaching them the music in three part harmony. Scrooge ran at The Met Theatre in Bury. Rachael arranged the music (christmas carols) and worked with the children’s chorus through rehearsals to learn it. A puppetry and mask show for families with music composed by Chris Davies. 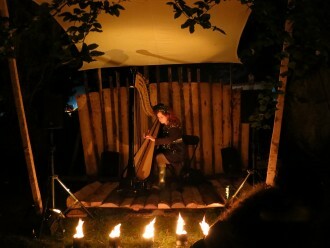 Rachael recorded improvised and scored harp for the soundtrack.